It is very rare for someone to find a true passion in life, something that inspires them, gets them up in the morning and adds happiness to their day. I am lucky to have found such a grá in the art of vegetable gardening. I’m not claiming vegetable growing is the meaning of life but I can firmly say it provides me with unreserved satisfaction and accomplishment. I believe the time working in my garden provides me with the opportunity to become so engrossed in an activity that the part of my mind that harbours worry, anxiety and stress switches off. 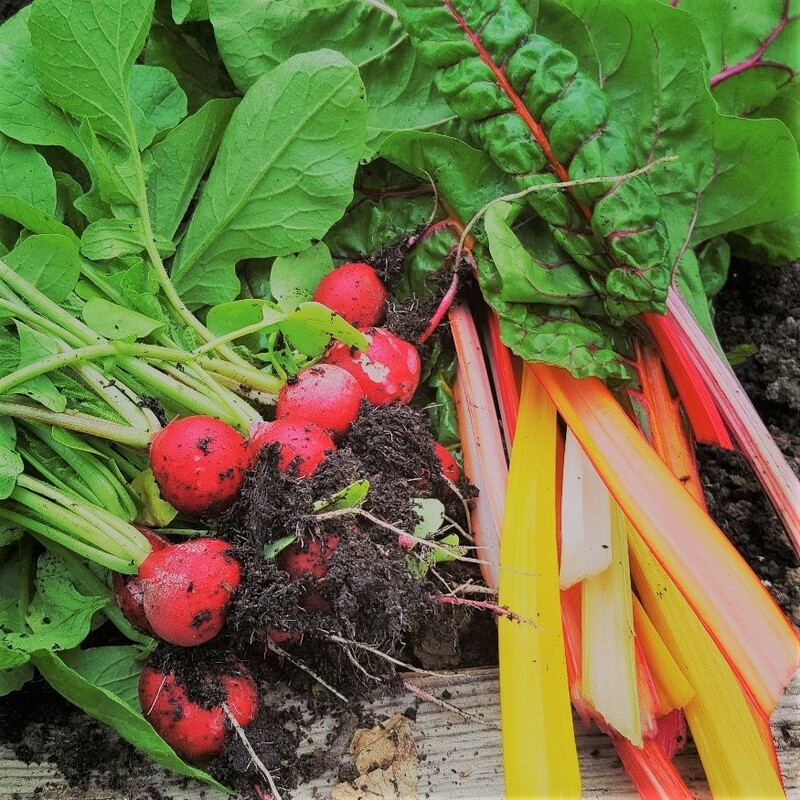 One aspect of growing vegetables which I find so satisfying is working with the soil, encountering its ability to support life and provide the necessary requirements for growth. 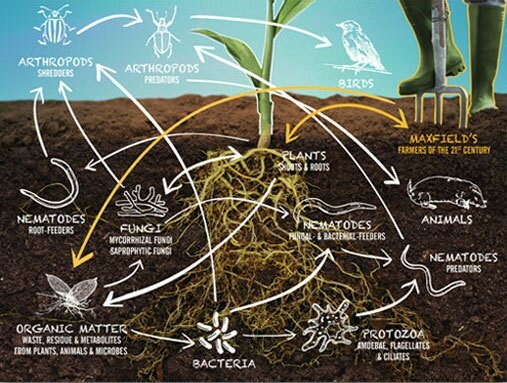 The soil supports a fascinating world of organisms working together to create the soil food web. This food web supports a range of organisms including bacteria, fungi, and invertebrates like the humble earthworm (Lumbricus terrestris). Earthworms play an important role in soil structure and function by recycling organic matter into the soil by breaking down material, contributing to the creation of humus and producing casts enriched with nutrients (1). These actions improve the soil conditions by increasing nutrients available to plants, along with soil aeration which aids root development. The soil hosts a vast variety of bacteria. One such bacteria supported in the soil is Mycobacterium vaccae. This bacteria is known to boost serotonin in our systems. Scientific trials have shown that after treating mice with the bacteria, it changed their behaviour in a similar manner as antidepressants (2). The bacteria has the ability to reduce stress, therefore having positive impacts upon mental health (3). This is just one of many reasons why the protection of soil is not only vital for food production but also a wealth of potential undiscovered resources. The satisfaction of sowing a seed, providing the correct environment for its growth and development, watching it produce a crop to harvest and enjoy, to me this is the upmost connectivity with nature, our precious soil and earth. It may be just be the mental health boosting bacteria talking but working in my vegetable garden lifts my mind. Although I recognise the chores requiring attention around me, I view it very much as a means to end. The means just happen to be enjoyable, that tiredness in your body after an afternoon digging, weeding and maintaining beds is much more of a physical achievement as opposed to the often mental strain and stress of staring at a screen all day. Sheila Murphy is a full time Ecologist who also runs The Salad Project, a salad and vegetable growing adventure in Co. Mayo. Check out The Salad Project on Instagram (@thesalad project).